My Partner in Crime, BumbleBee and I had been planning our very own night photo ride for some time. Due to work commitments he was unable to attend the official Christmas Lights ride and this one was going to start just before midnight on 27/12/14. However as BumbleBee was going to working the next day it didn't seem right that he miss a nights sleep, so we arrange to meet at 07:00 Sunday morning at Trafalgar Square. As soon as we met at the start location we headed off east. We reached St Paul's Cathedral and took a few pictures. I was busily watching Bumblebee as he is a pretty good photographer and always produces shots of interest. The sun was making its way above the horizon and casted an amber glow over everything. It was very pretty and we had these view more or less to ourselves. A photographer with fairly meaty tripod in hand looked as if he had finished taking his pictures and was off home. I cannot count how many times I have stood on this bridge? It it also a location that Bumblebee and I have taken many a photograph. The Christmas lights were still evident everywhere and even though it is over for another year, it was lovely to see them. On my solo Boxing Day ride I saw a fox walking along the Strand. This morning there was another walking bold as brass near the Globe Theatre. They seem to be everywhere! Stopping at the south side of the Thames to take photos of Tower Bridge Bumblebee strategically placed his Brompton where the small fountains of water were gushing forth so that he could take some photographs. He managed to do all this without a drop of water touching him or the bike. Crossing Tower Bridge I looked up to see if I could see the new glass platform. I made a mental note to go there one day as seeing the cars go by below must be quite a sight! Once on the north side of the Thames we took in a slightly different view of Tower Bridge. This is where things took a turn for the worse! It was a particularly cold morning with a mild frost. Stupidly I tried to head down towards a better view of the bridge on decking. The combination of thawing frost on decking and SPD shoes was enough to make me slip over. I wasn't hurt but I had twisted my knee. I was able to continue as far as the O2 but was thankful that Bumblebee was happy to return to Embankment on the Thames Clipper as I suspect I would not have been able to cycle. As I write this my knee feels pretty ropey but I am sure that a few days of rest will do the trick. As we cycled further along I spotted some Black Headed Gulls being quite obliging and almost posing for pictures. They were obviously very used to people as they seem very nonchalant about me approaching. Bumblebee and I were doing pretty well as far as the route was concerned and we managed to get where we wanted to go without resorting to Garmin devices or iPhones. I wonder what his photo will turn out like? 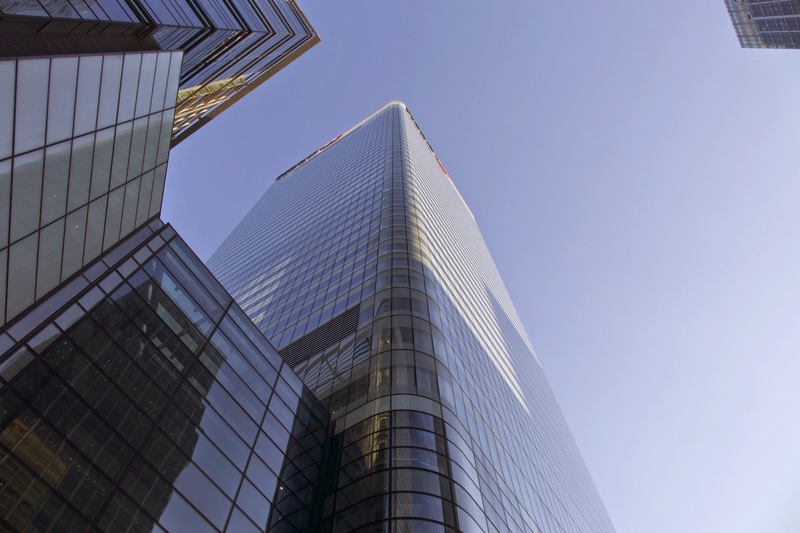 Canary Wharf was literally deserted and security guards outnumbered everyone therein. Taking a few photos along the way we wasted little time in heading for the O2. We got a good view of the Traffic Light Tree by the French sculpture, Pierre Vivant. I like this a great deal and still remember the first time I saw it and wondered how on earth we were going to know how to proceed? Arriving at the Greenwich foot tunnel I decided to take the lift down and then up just in case the knew wasn't up to it. On the outside again we were greeted by the familiar sight of the Cutty Sark. For once I decided to ensure that I took a photo with the entire ship in frame as I do not think I have managed this before for some reason? With the O2 in sight we pressed on. A lone Cormorant was the third ornithological nicety seen on this ride. Along with the obliging Black Headed Gulls I also had my best view of a Kingfisher just after Wapping. When we reached the O2 we retired to the 'Slug and Lettuce' for their all day breakfast that was consumed with enthusiasm. That done we decided not to press further on and took the Thames Clipper. This journey didn't seem to take as long as previous ones as it was still quite early and there were a lot less people about. 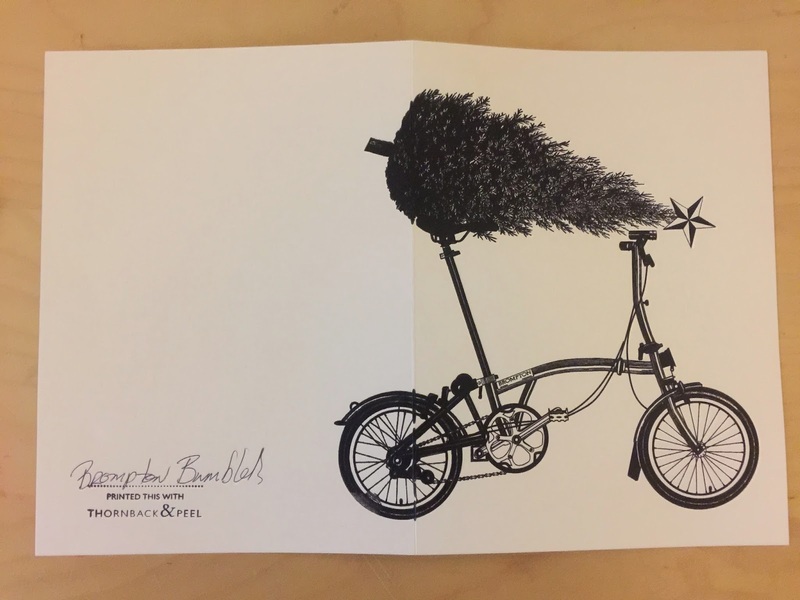 Bumblebee was kind enough to give me one of the Brompton Christmas cards he made at Brompton Junction as few weeks ago and wrote about in his blog. I felt very special and will be framing it and putting it in my study as I think it looks pretty fine. Cycling anywhere with my Partner in crime Bumblebee is always fun. He was very kind to mention me in a recent blog post thanking me for encouraging him. I have to say that I would say the same of him. 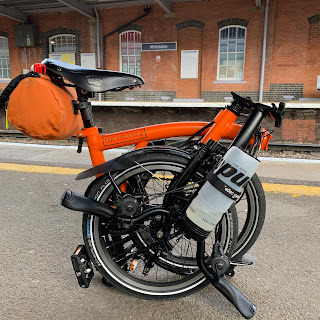 I always knew that owning a Brompton would be fun but I did not expect to develop so many friendships along the way. I don't know what Brompton adventures 2015 will bring but I am pretty certain many will feature my Partner in Crime and friend Bumblebee. Great photos and report, Mr. O. Love that handmade card - what a nice thought!